Gravity Rush is an action-adventure video game developed for the PlayStation Vita. The core mechanics of the game is the player’s ability to manipulate gravity, allowing unique movements and navigation. The font used for the game logo in the box art is very similar to Gill Sans Ultra Bold,a humanist sans serif by English type designer and sculptor Eric Gill. This ultra bold design for display use was introduced in 1936 and many letters of it vary considerably from the structure of other fonts in the Gill Sans font family. 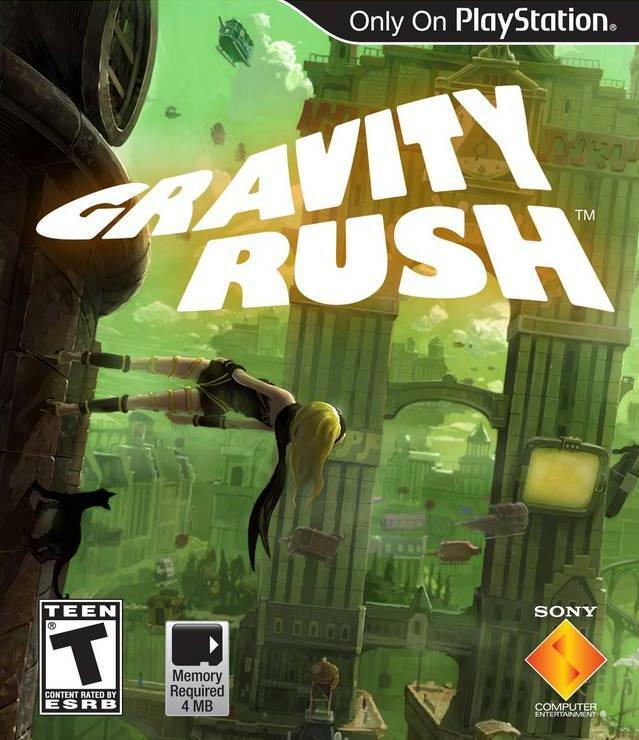 In addition to Gravity Rush (Video Game), Gill Sans typeface is also used in the following logos, movie posters or album covers etc., including: AMD, A Haunted House, Tag Heuer, Harry’s Law, Mr. Popper’s Penguins, Meerkat Manor, 13 Reasons Why, Magnum Force, Comedy Network, Save the Children, Bruce Almighty (film), The King’s Speech, Christmas with the Kranks, When in Rome, Juliet.